Learn how to inject new vitality and motivation into your life. The year after medical school, I attended a conference in biological psychiatry. I was in South Africa at the time, unclear about how my future was going to look. At the very last talk that I attended at the conference, I was blown away. The speaker’s depth of knowledge and charm had me riveted. I wanted to talk to him, but missed the chance. Later on, I stood curbside, waiting for a car to pick me up. I suddenly realized that the speaker was next to me. I felt compelled to mutter something just to make a connection. To my utter surprise, inspired by our proximity, I feverishly asked him, “Could you say something that will influence my life?” Somewhat surprised and taken aback, he asked me what I was interested in. I told him that I was curious about the brain changes underlying feeling states. He recommended that I apply for a scholarship that I had a very small chance of getting. It was due the following day. When I got back home, I hurriedly faxed over my application. To my surprise and delight, to make a long story short, I got the scholarship. I moved to a different province for a year, and after another serendipitous ask, came to Harvard. My life would never be the same again. What is curiosity? This willingness to recognize and search for new knowledge and experiences is called curiosity. As children, we have it in spades, and it generally works for us until we try sticking our fingers into electrical sockets or randomly pushing buttons that we shouldn’t be pushing. Not all curious acts result in dreams coming true. In fact, sometimes, curiosity leads to devastating rejection, shame, and humiliation. That’s why we may grow into adults who are more timid than curious. Yet, when we give up curiosity, we surrender our tickets to a lifetime of amazing opportunities. 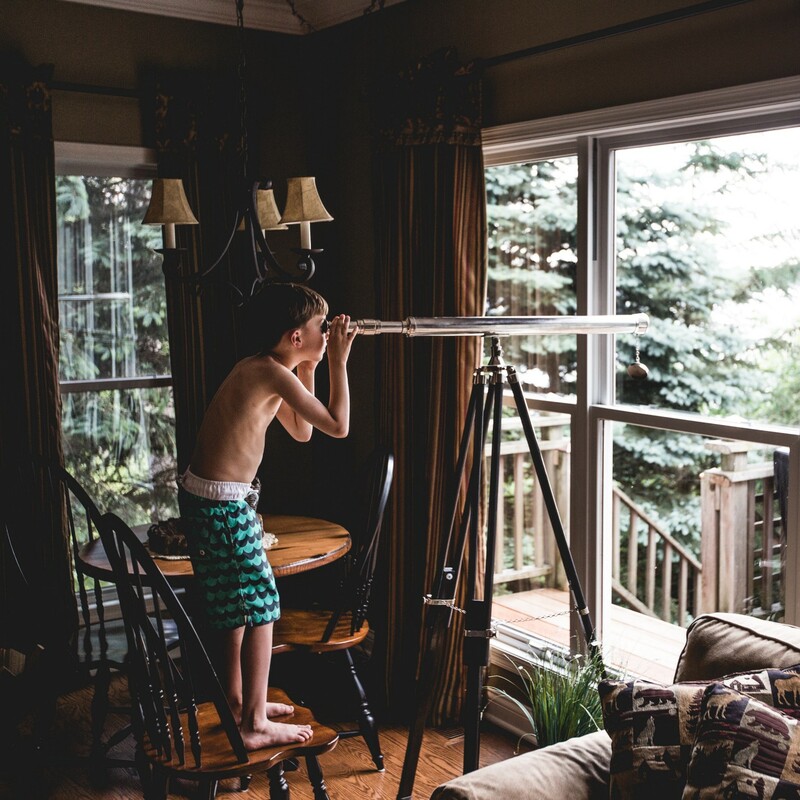 The benefits of curiosity: When we are curious, we engage the world by exploring, learning, and making meaning from our discoveries. In fact, neuroscientist Jaak Panksepp regarded curiosity as one of the key factors in thriving. When you are rewarded for your curiosity, you approach more situations with a sense of wonder. But when you are not, you shut the door on wondering and avoid the unknown. Upon shutting this door, you also inadvertently close yourself off from many other positive experiences as well. When psychologist Todd Kashdan and his colleagues examined what people themselves, their friends and parents thought of the benefits of their curious personalities, they found that curiosity allowed them to tolerate anxiety and uncertainty more. In addition, they were more playful, funny, unconventional, non-defensive and non critical. The curious brain thrives on conflict, and then delights in the resolution of it. This allows you to have a more engaged social life. Can curiosity be developed? Some people think you have to be born curious and that you’re either wired that way or not. But curiosity can be developed in small steps too. Take for example, how you might engage somebody at a party. Rather than asking them about their professions and families, you might express an actual interest in something that you notice about them. One way to open the door to a more curious conversation is for you to be more vulnerable. For example, you might even smile and say, “I was wondering what would happen if I had a genuine interest in people I met tonight.” Called top-down curiosity, this approach arises from an interest in novel interactions or things. Of course, you can’t just be curious for the sake of being curious if you want to stay motivated. Your curiosity needs to be authentic. But how can you be authentically curious when life has taught you to avoid the unknown? What can you do to reactivate your curiosity? In my book, “Tinker Dabble Doodle Try” I provide many suggestions for mindset shifts. They all involve activating the brain’s unfocus circuit, but you have to do this strategically and productively too. Positive constructive daydreaming: Simply slipping into distraction or a daydream won’t make you more curious. But if you plan to daydream for 15 minutes, and if you do this while doing something low key like walking, knitting, or gardening, your brain’s unfocus circuit will get to work by seeking out new connections between ideas that are lurking about in your brain. This practice is associated with being more curious too. You can start it by turning your attention inward, then thinking of something positive or wishful like relaxing on the beach, or shopping at your favorite store. Possibility thinking: People who believe in the positive impact of unknown things activate the brain’s reward system. Dopamine increases. Natural opioids increase. And their brains become excited and relaxed all at the same time. Of course, you can’t just be a positive thinker if you were previously cautious and realistic. But you can live your life by exploring hypotheses that you believe in enthusiastically. That’s what scientists do when they conduct experiments, and they usually conduct experiments on things that interest them too. Interestingly, 75% of scientific findings occur by accident. They are not even related to the initial hypothesis. So ask yourself, “What do I believe that I would like to prove?” Then pursue that with vigor and enthusiasm. Pursue inspiration: Most people think that inspiration is elusive. But there are three easy steps that will increase the chances that you can get inspired. First, find a beautiful image, video or object. Then, with that in mind, go out for a walk, letting your mind wander as you proceed. This will also activate your unfocus circuit, and with new brain connections, you will be more likely to be inspired to act on something. Finally, come back to your desk and while inspired, perform that action. For example, you may have a startup idea that comes to you while walking. When you return to your desk, connect with relevant people on LinkedIn. Just this act will open the door to more possibilities. Curiosity is worth indulging safely. It does not have to be an innate quality. You can cultivate it by shifting your mindset. And when you do, you will reap the many thriving benefits that it offers.